From auctions and acquisitions to boardroom upheavals and political wrangling, plus a few turbine launches on the way, we pick out some of the key stories from Windpower Monthly's 2018 coverage. Thank you for supporting Windpower Monthly over the last 12 months. We will be taking a short break over the holiday period but normal service will be resumed on 2 January 2019. Vestas and Goldwind win the Windpower Monthly awards for best onshore turbines of 2017, with MHI Vestas ruling the offshore class. Keep an eye out for our 2018 awards in the New Year. Enercon’s takeover of turbine maker Lagerwey, takes effect from New Year’s Day. Lagerwey will continue acting as a standalone company under Enercon with managing director, Hans-Dieter Kettwig, describing the Dutch firm as "an ideal technology partner". 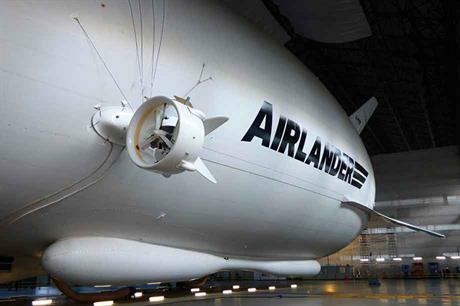 Vestas and Siemens Gamesa Renewable Energy (SGRE) announce they are working together to explore the use of airships to transport large turbine components, particularly blades. Production records for wind in Europe were broken on 3 January, with 2,128GWh generated, accounting for 22.7% of the continent’s electricity mix. A report by the International Renewable Energy Agency predicts that the global weighted average generating costs of onshore wind will fall from $60/MWh in 2017 to $50/MWh by 2020, with the best onshore projects delivering at just $30/MWh. But Bloomberg NEF reports a 12% year-on-year fall in worldwide wind investment. The total value of investments in the wind-power sector in 2017 amounted to $107 billion, the lowest annual figure since 2013. SGRE India CEO Ramesh Kymal, in an exclusive interview with Windpower Monthly, explains how the Indian wind market hit a brick wall following auctions for new capacity that significantly undercut prices from the previous feed-in-tariff. "After the first wind auction, the market just collapsed as most of the utilities refused to buy new wind power under previous Feed-in-tariff (FiT) rates, which were significantly higher than the bid price. "It was hard convincing policymakers and regulators the auctioned tariff was not the new standard. The resulting uncertainty in the market stopped project activity," Kymal says. Wind energy reaches the tipping point, our annual review of electricity generation costs concludes, with subsidy-free projects emerging in a number of countries. Onshore generation costs, at the upper bound installed cost of $2,000/kW, vary from $101/MWh at 6m/s, down to $55/MWh at 9m/s. At the lower-bound installed cost of $1,200/kW and a wind speed of 6m/s, the generation cost is $59/MWh, falling to $38/MWh at 8m/s. Vestas and SGRE leapfrog Goldwind as the leading OEMs in terms of new installations in 2017. Together with GE Renewable Energy, these four companies are dominating the wind market. SGRE unveils a new 2.75MW turbine with a rotor diameter of 129 metres, aimed at low- and medium-wind sites in the US. Blades for the new turbine will be made at the company's factory in Fort Madison, Iowa, while its nacelles and hubs will be assembled at a factory in Hutchinson, Kansas. Germany’s energy regulator awards 709MW of new wind capacity in the latest auction round. A weighted average of €46/MWh was slightly above the prices agreed in the previous tender in April 2016. Meanwhile, winning bids in India’s first 2GW federal auction average $38/MWh. All of the 2GW capacity on offer was captured by six bidders. 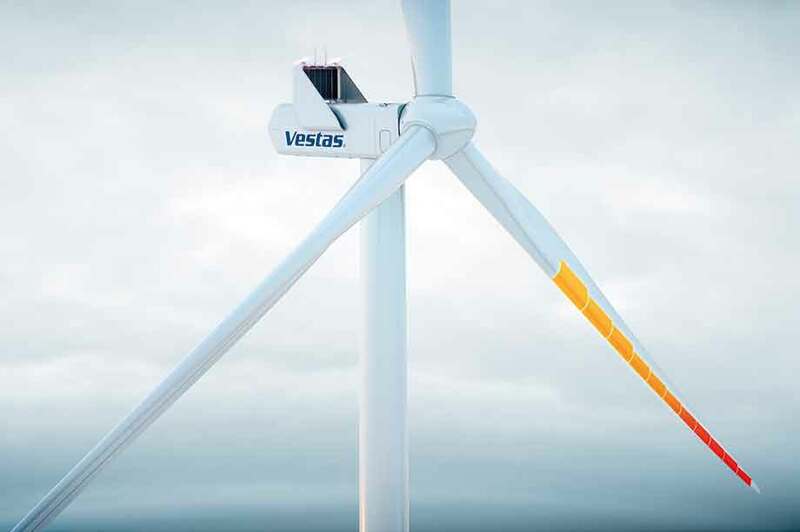 Vestas adds to its cold-climate solutions with an anti-ice system that uses "intelligent" electrothermal elements along the length of the rotor blade. "One of the key challenges with these types of system has been the power consumption. How can you have a good balance of power consumption in the system so you don't waste too much energy?" says Vestas senior project manager Brian Daugbjerg Nielsen. GE unveils the first details of what could be the world’s most powerful offshore wind turbine, the 12MW Haliade-X. The firm will spend $400 million on engineering, testing and supply chain development for the 220-metre rotor machine. France sees a 23% drop in wind prices in its latest onshore wind tender. Twenty-two projects totaling 508.4MW were awarded at an average price of €65.40/MWh. Nordex, Quadran and Wpd are successful. Vattenfall wins the licence to build a 700MW project without subsidy in the Netherlands’ latest offshore tender. The two-phase 700MW Hollandse Kust Zuid site is due online in 2022, prior to two other subsidy-free sites set to be commissioned in 2024 off Germany. Utility E.on agrees to buy RWE subsidiary Innogy’s grid and retail business in a complex shares and assets deal. RWE will take on Innogy’s and E.on’s renewable energy assets as well as a 16.67% "effective participation" stake in E.on. Industry analysts FTI Consulting concludes the average turbine capacity installed in 2017 grew 11.3% year-on-year to 2.4MW. Markets such as Denmark, the UK and Germany have a slightly higher average due to their offshore markets. China’s average exceeds 2MW for the first time. FTI also predicts wind capacity deployment will remain concentrated in just 15 markets over the next decade. In its ten year forecast, FTI Intelligence believes 82.7% of new capacity (570.4GW) installed between 2018 and 2027 will be added in just 15 markets: China, US, India, Germany, France, UK, Brazil, Mexico, Turkey, Japan, Netherlands, Argentina, Spain, Taiwan and Canada. Germany’s second offshore wind auction sees prices increase from the first auction, with an average successful bid of €46.60/MWh. Iberdrola, Ørsted and Innogy are among the winners, as €0/MWh bids are once again successful. 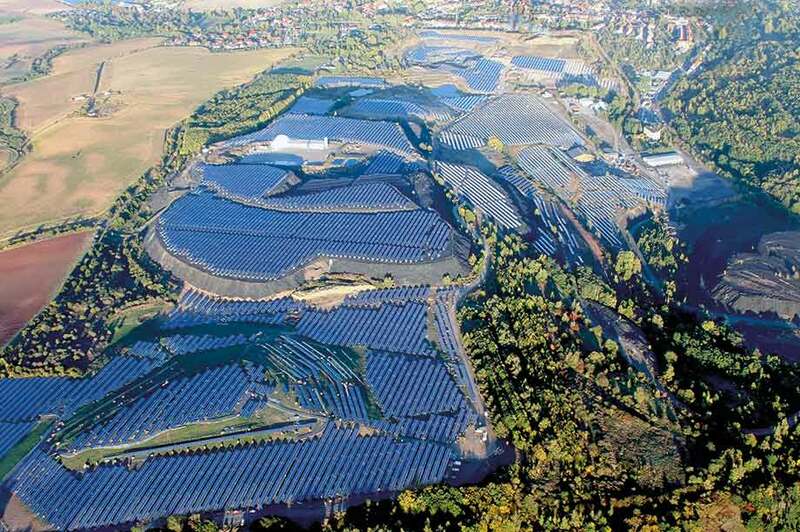 For onshore auctions, wind loses out entirely to solar in Germany’s first joint technology tender. Members of both industries brand the process a failure. "Pitting two most important pillars of our future energy system against each other is inefficient and not effective. "Instead, we need an intelligent mix of the two technologies," says BWE president Herman Albers. Max Bögl produces the first concrete-steel hybrid towers from its new mobile factory in Thailand. The plant is a temporary structure and produces three towers a week. Analysts at consultancy Energy Brainpool predict wind-generated hydrogen could be produced at a lower price than natural gas, but it relies on there being excess renewable energy on the grid. Wind-produced hydrogen could cost as little as €32/MWh by 2040, while natural gas prices could grow to €42/MWh. 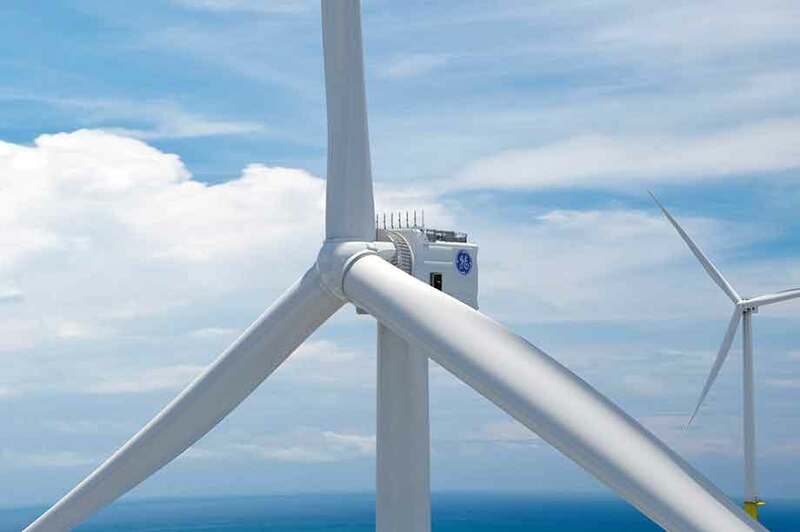 Offshore wind market hot property Taiwan names 3.8GW of wind projects to receive a grid allocation, with developers Ørsted, Wpd and Northland Power among those selected. The majority of the projects — 2.4GW — will be built off the coast of Changhua county in the west of the country. 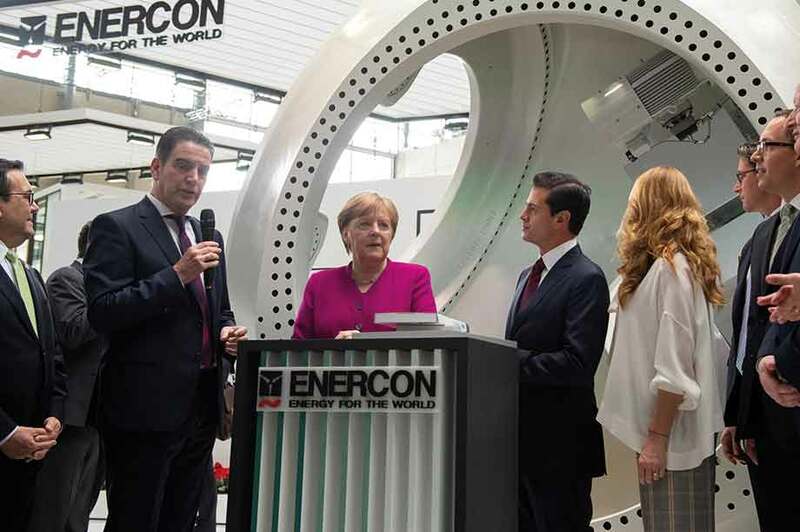 Enercon's Hans-Dieter Kettwig signals a change in strategy for the German OEM at the Hanover trade fair. Kettwig believes "things can’t remain as they are" in terms of the company’s manufacturing footprint, suggesting a more international base may be on the cards. A German onshore-only tender is undersubscribed for the first time. This results in a €10/MWh rise in the weighted average price to €57.30/MWh compared to the successful bids in February’s auction. Senvion CEO Jürgen Geissinger steps down, expressing a desire for new challenges. But the timing is curious, having just reported one of its best-ever quarterly totals, with turbine orders up 37% year-on-year after a tricky 2017. Windpower Monthly looks at airborne wind energy systems and the impact they could have on the industry. 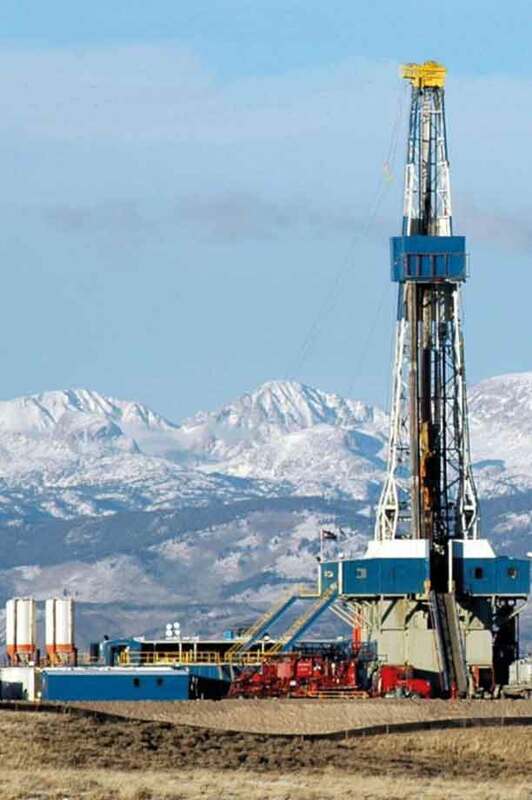 US conglomerate GE announces plans to separate from its Baker Hughes oil and gas subsidiary. The reorganisation of the firm will focus around its renewable energy, power and aviation divisions. We shine a spotlight on the planning dilemma facing Germany as permitting decisions slow, resulting in undersubscribed auctions and a rise in prices. Problem hotspots are the states of Bavaria, North Rhine-Westfalia and Schleswig-Holstein. Senvion’s North American chief says the company is going "all in" with its new 4.2MW platform in order to get ahead of the competition in the market. "The reality is I think it really covers most of the US. This is what I am excited about," Lance Marram tells Windpower Monthly. In another interview with a leading executive, Vestas’ Nils de Baar explains why the manufacturer acted outside its comfort zone by signing up to not only supply turbines to a project, but to also take an equity stake in the site. "From a financial perspective, it is a stable, attractive market, very low on the risk side, and with some strong partners," de Baar says. Denmark agrees an ambitious energy deal between all major political parties. It sees an extra 2.4GW of offshore wind capacity to be auctioned off, and €564 million to potentially support onshore wind turbines in technology-neutral auctions. However, the number of turbines in Denmark is set to fall by more than half by 2030 as projects are decommissioned. Check back after Christmas to find out what else happened in 2018. If you wish to partner with Windpower Monthly in 2019, you can find out more details here.